Scope: SmartLead adheres to the principles of the EU USA Privacy Framework with respect to personal data submitted by SmartLead clients. Data Processed: SmartLead provides on line tools such as SmartLead, SmartLeadPlus and OrderIT, that our customers use to operate aspects of their businesses. These include tools for lead qualification, customer relationship management, social engagement and data analytics. In providing these tools SmartLead processes data our clients submit to our services or instruct us to process on their behalf. While SmartLead clients decide what data to submit it typically includes information about their customers, sales leads, and prospects and users of on line tools such as contact information. Within the scope of this privacy notice, if a privacy complaint or dispute cannot be resolved through The AdTrack Corporation’s internal processes, The AdTrack Corporation has agreed to participate in the VeraSafe Privacy Shield Dispute Resolution Procedure. Subject to the terms of the VeraSafe Privacy Shield Dispute Resolution Procedure, VeraSafe will provide appropriate recourse free of charge to you. To file a complaint with VeraSafe under the Privacy Shield Dispute Resolution Procedure, please submit the required information to VeraSafe here: https://www.verasafe.com/privacy-services/dispute-resolution/submit-dispute/. If neither SmartLead nor our dispute resolution provider resolves your complaint, you may have the possibility to engage in binding arbitration through the Privacy Shield Panel. Third parties who may receive personal data:​ SmartLead uses a limited number of third-party service providers to assist us in providing our services to customers. These third party providers offer customer support to our customers, perform database monitoring and other technical operations, assist with the transmission of data, and provide data storage services. These third parties may access, process, or store personal data in the course of providing their services. SmartLead maintains contracts with these third parties restricting their access, use and disclosure of personal data in compliance with our Privacy Shield obligations, and SmartLead may be liable if they fail to meet those obligations and we are responsible for the event giving rise to the damage unless SmartLead first demonstrates that is it not responsible for the event giving rise to the damage. Your rights to access, to limit use, and to limit disclosure:​ EU individuals have rights to access personal data about them, and to limit use and disclosure of their personal data. With our Privacy Shield certification, SmartLead has committed to respect those rights. Because SmartLead personnel have limited ability to access data our clients submit to our services, if you wish to request access, to limit use, or to limit disclosure, please provide the name of the SmartLead client who submitted your data to our services. We will refer your request to that client, and will support them as needed in responding to your request. 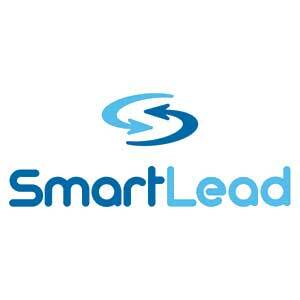 U.S. Federal Trade Commission enforcement:​ SmartLead’s commitments under the Privacy Shield are subject to the investigatory and enforcement powers of the United States Federal Trade Commission. Compelled disclosure:​ SmartLead may be required to disclose personal information in response to lawful requests by public authorities, including meeting national security or law enforcement requirements.